I would like to start off by saying that this is an extraordinary film. It kept me on the edge of my seat, and not knowing what was going to happen next was the best thing ever. The acting of the main actors, Idris Elba and Kate Winslet, was top class and they have a remarking chemistry on screen. I think this movie is so original and I can’t wait to watch it again. In my opinion, this was one of the best movies I’ve seen this year. What makes it stand out is the fact that it’s for everybody. There’s plenty of action, drama, adventure, romance, and more. The film was emotional, and exciting to watch. I formed a connection with its characters, I became attached to them and was rooting for them, hoping they would be rescued. Besides the main actors, I also liked the dog who brings together Ben and Alex. I didn’t know that this movie is based on the book (of the same name) by Charles Martin, so I might give it a reading to compare it to the motion picture. I loved the way the film was shot and the sights that it presented were breathtaking . What you don’t see in the trailer is that The Mountain Between Us also delivers a love story. I think this was a clever marketing idea, because it gives the viewers the chance to discover this while watching. The Jungle Book is an adventure film that had its premiere not so long ago. It is directed by Jon Favreau, mostly known for the Iron Man movies and Chef (2014). The cast is formed by Neel Sethi, Bill Murray, Ben Kingsley,Idris Elba and Scarlett Johansson just to name a few names on the bill. 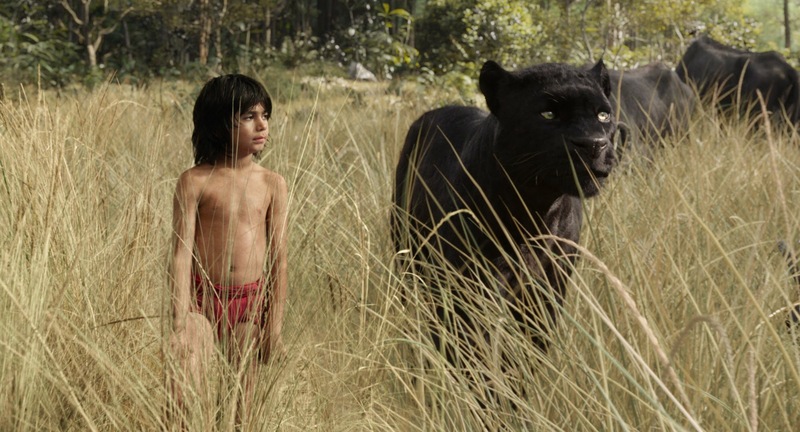 The synopsis for The Jungle Book reads : “The man-cub Mowgli flees the jungle after a threat from the tiger Shere Khan. Guided by Bagheera the panther and the bear Baloo, Mowgli embarks on a journey of self-discovery, though he also meets creatures who don’t have his best interests at heart”.I was happy to see at the cinema that there were more kids and young adults than grownups watching and I must admit that my favourite character in the film was Bagheera. I really appreciated how he protected Mowgli during his adventure. By watching The Jungle Book I felt like I was reliving my childhood and it was a pleasant experience. I highly recommend this film as I believe it can be enjoyable for any cinema goer. I would give this film a rating of 8 out of 10.